The Ringside Romance stories can be enjoyed in any order -- jump in wherever you'd like. I think my favorite part of this book was that it’s unique while not going so far outside the norm that it’s unrealistic. I’m always a fan of second chance romances and this one isn’t an exception – I really enjoyed it. Eli and Devan are married shortly after only being together a short time. They’ve been trying to have a child together for quite a while and when their surrogate suffers another miscarriage, Eli uses it as an excuse to leave Devan’s life. Eli is an MMA fighter who is being pushed by his rude as heck manager to stay in the closet, on top of the stress of his mother’s health issues. Now, almost two years later, Eli returns to help his friends promote their local gym and discovers a huge surprise – Devan has an 11-month old son who could possibly be biologically his. The attraction, of course, is still there and Eli knows he still loves Devan, but he has a lot of trust to regain with Devan and it’s not going to be easy. I loved both of the main characters – Devan is an amazing father and I think it’s great that he didn’t take Eli back right away, Devan really made Eli work to gain his trust back. Even going as far as to let Eli babysit while he went out on dates with other men. The book is definitely enjoyable and can be read as a standalone. I seriously had déjà vu when I read this book. I felt like I had read this story before. Maybe it was previously published or just so similar to something I have read before? The story was good. Eli and Devan were married, planned to have a baby, and then Eli bolted. Three years later, they are thrown back together. You can tell there is chemistry and you want them to work things out. I do like how independent Devan is, he had a goal and he achieved it. I couldn't believe how blind Eli was about his manager and then when he confronted him, I would have beat him down and he didn't! This was a sweet second chance love story with a little angst in there for good measure. I find it incredibly difficult to engage with a romance when I thoroughly dislike one of the main characters from the start and Eli is unforgivably awful! He runs away from his husband after their surrogate miscarries their child. He runs away from his mother after she has a stroke. Even married, he stays in the closet because he prioritises his MMA career above everything. When Eli comes back to town, he is followed by all his MMA publicity and hype. He doesn’t seek Devan out for an apology. I wanted Devan to grab his child and run, but he is too nice. And ‘nice’ is just as much a kiss of death in romance as it is in life. Sweet, kind, funny, and good, Devan allows himself to be swept up in Eli’s charisma. Urgh. I know these couples in real life. I want my romance heroes to be strong and brave and honourable. Things get some better near the end. The role of Eli’s manager in his life should make it easier to forgive Eli but for me, it just confirmed that Eli was willing to sacrifice everything for his MMA career. We do get some flashy displays of commitment and remorse from Eli. They are kinda sweet. But I’m not sure his last minute choices make up for leaving Devan or treating him badly. Beyond the romance, I enjoyed seeing the gym finally up and running and I liked watching the two previous couples settled and happy. I’m not a fan of babies in books and Devan’s father moments are a little too sweetly domestic for me. I’ve enjoyed this series but this definitely isn’t my favourite book in the series. This is the third book in the series and rounds off the three friends who trained together as youngsters and bring back to life their gym; either by running it. funding it, or publicising it. They each find their happily ever after along the way – and whilst you could read them in any order, as they are loosely linked, there is a natural order. I would say this is the least connected of the three. I enjoyed the premise behind the story, and as we got to know Eli better, we could start to understand what was going through his head three years ago, but I am not sure I would be as forgiving as Devan. Definitely a case of "what the heart wants," even if he makes some rules! For all the conflict, in and out of the ring, there was a rather effective, down to earth quality about both the men which was very refreshing. Eli was doing maintenance at his mum's house, Devan was a bit of a messy person about the house. I enjoyed the familiarity which made their time together much more significant, and yet still new and hot, as they relearned each other. A really good series, which dealt with a good range of issues, with both some super hot guys, and some unexpected twists. Thank you, Ms. d'Abo. Devan thought he and Eli were on the path to the next big thing in their lives. Eli was perfect for him. All that was missing was the child he couldn't wait to raise with Eli. When the surrogate suffers another miscarriage, it's too much for Eli. The stress he's been carrying around finally gets the best of him and he thinks Devan would be better without him. The stress Eli carries between his manager that forces him to stay in the closet, his mother's health, and not knowing if having a child with Devan is exactly what he wants is burying him. After almost two years he's coming back to Ringside to help promote a fight. It's possibly the worst or best thing that can happen to him. He knows he'll see Devan but what he isn't expecting is seeing Devan's son. I really enjoyed this series. The group of friends finding their happily ever afters with some drama and MMA thrown in. 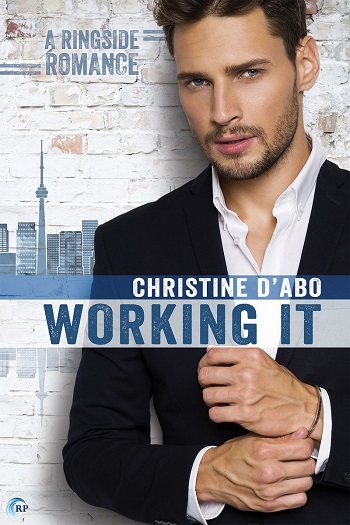 For reviews & more info, check out our Working It post. 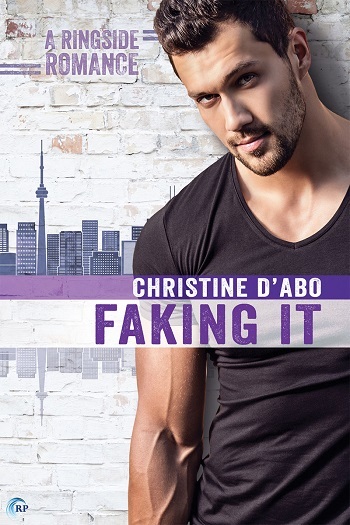 For reviews & more info, check out our Faking It post. 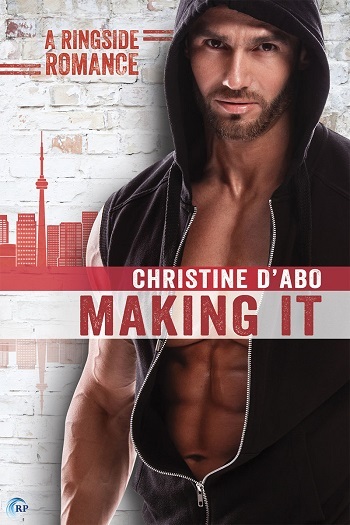 Reviewers on the Wicked Reads Review Team were provided a free copy of Making It (Ringside Romance #3) by Christine d'Abo to read and review.